Titi in Window is part of a series of works completed by John Ahearn and his collaborator, Rigoberto Torres, in the Longwood neighborhood of the South Bronx. Starting in 1979 and continuing throughout the 1980s, a time when this community was struggling economically and socially, Ahearn and Torres created plaster castings of their neighbors and friends. The two sculptors would often cast their subjects on the sidewalk, and then display the finished busts publicly on walls in the neighborhood. Fred Wilson often appropriates art objects to explore issues of race, gender, class, politics, and aesthetics. 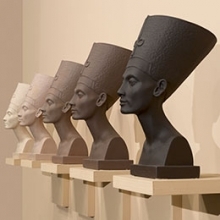 Made up of five portrait heads of the Egyptian queen Nefertiti, Grey Area (Brown Version) refers to one of the most copied works of ancient civilization. 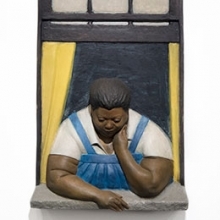 The otherwise identical plaster effigies, which he purchased and painted, illustrate a value scale ranging in color from oatmeal to dark chocolate. Thus, Wilson raises, but does not answer, controversial questions about the racial identity of ancient Egyptians. 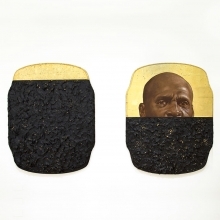 Converting found materials into a unique medium between sculpture and painting, El Anatsui combines diverse aesthetic traditions from Ghana, Nigeria, and the global history of abstraction. 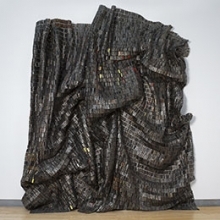 Working with discarded metal bottle caps collected from a liquor distillery, Anatsui modifies this unremarkable everyday material, chosen for both its physical qualities and its bodily connection to the original consumer, to make vast, undulating sheets. Anatsui’s sheets are pieced together and hung without prescribed orientation, taking on new shapes with each installation. This “non-fixed form,” as the artist calls it, is emblematic of Anatsui’s desire for his work to remain dynamic, inspiring creativity in those who install it and illustrating the ever-changing conditions of life. 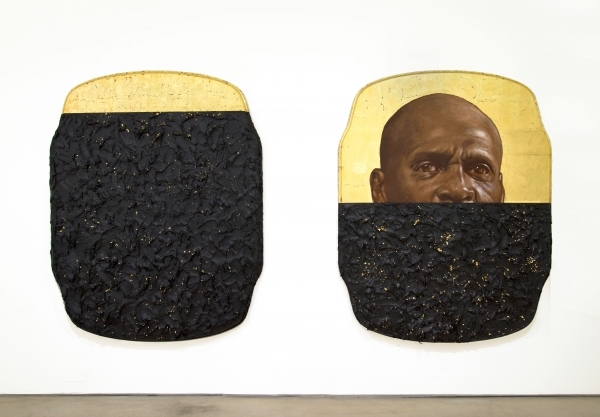 In Black Block, Anatsui uses only one color (though the black is broken up by flashes of red and yellow) and only one type of metal piece across a monumental expanse of some 15,000 elements. 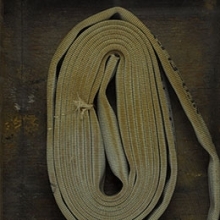 Part of a series that features lengths of decommissioned fire hoses, In Case of Race Riot II exemplifies Theaster Gates’s practice of civic responsibility and social engagement. The work alludes to the Civil Rights Movement and, in particular, the use of high-pressure water hoses on peaceful African American demonstrators in Birmingham, Alabama, in May 1963. However, the possibility of future use of the fire hose, as suggested by the title, questions an easy acceptance of this tumultuous era of American history and points to the ongoing struggles for African Americans’ civil rights. In Liberty, Hank Willis Thomas renders a two-dimensional image as a three-dimensional sculpture. 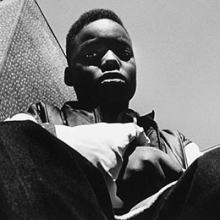 The original photograph appeared in Life Magazine in 1986 and featured a Harlem Globetrotter in front of the Statue of Liberty, spinning a basketball on his finger. 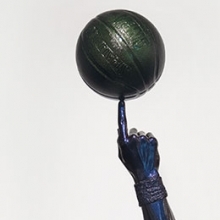 Interested in popular culture, photographic history, and sports as a metaphor for individual and collective struggle, Thomas created a life-size sculpture of the moment by casting the arm of retired NBA All-Star Juwan Howard. Liberty is part of Thomas’s Punctum series, which draws inspiration from the French philosopher Roland Barthes’s idea of the punctum: that “element which rises from the [photographic] scene, shoots out of it like an arrow, and pierces.” Using this concept as his foundation, Thomas selects a specific area of an image and re-presents it as sculpture. Through cropping and isolation, he encourages us to contemplate framing itself: what is left in or out of a photograph, narrative, or account of a historical event, and why? Shooting primarily in the United States and the Caribbean, Deana Lawson is inspired by the expression and aesthetics of black cultures worldwide. Using a large-format camera, and working across a variety of photographic traditions—including portraiture, staged scenes, found or appropriated imagery, and vernacular photography such as family albums—she addresses themes of the body, sensuality, community, and spirituality, among others. 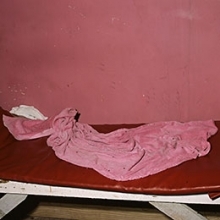 Her photographs can be seen as psychological portraits of black subjects in an extended, mythological diasporic family—even when, as in Hellshire Beach Towel with Flies, the body has departed the frame, leaving only a worn pink towel. In this work, Lorna Simpson pairs two found 1940s images of black women posed against stylized theatrical backdrops. The photographs are printed on felt, giving them a rich tonality and dimensionality. On the left, an anonymous woman, accessorized and coiffed for her session, is pictured in a photographer’s studio. 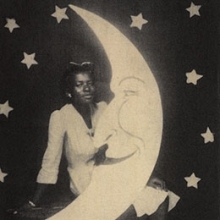 On the right, Simpson presents a heavily cropped image of the singer, dancer, and actress Lena Horne in the 1943 movie musical I Dood It. This juxtaposition highlights differences and similarities between the experiences of these two women, one famous and one unknown. The meaning of the work is purposely ambiguous. 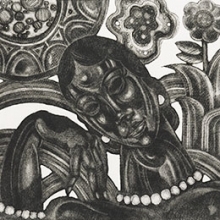 Perhaps Simpson is encouraging the viewer to reflect on representations of black women, both historical and contemporary, and female agency and autonomy. The human body has occupied a significant place in the imaginations of artists, from our earliest ancestors to today. Central to how we understand and locate ourselves both individually and collectively, the body is a site of commonality and of conflict, of belonging and of difference. The works on view in I See Myself in You: Selections from the Collection show real and imagined bodies, sometimes in fragments and sometimes whole, and sometimes just the elusive trace of a human presence. In works ranging from plaster reproductions of the ancient Egyptian queen Nefertiti to painted likenesses of a female artist assuming the appearance of Pop art icon Andy Warhol to photographs of 1990s-era Brooklynites, the stories they call forth are shaped by history, current events, and place, as well as the sights and sounds of daily life. 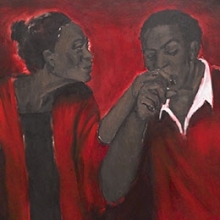 I See Myself in You demonstrates our continuing commitment to living artists and to collecting distinctive art of our time, highlighting both recent acquisitions and works that have entered our collection over the past five decades. In collecting contemporary art, we focus primarily on the twenty-first century, during which time Brooklyn has become one of the most vibrant centers of cultural production in the world. The generous support of the John and Barbara Vogelstein Contemporary Acquisitions Challenge has made possible many recent additions to the collection featured in I See Myself in You: Selections from the Collection. This exhibition was also made possible in part with support from the FUNd.